Last week the grey painting was completed on the outside and so we are now ready for the scaffolding to come down. Upstairs is now nearly completely painted, but downstairs is still too much of a workshop for the painters to start. The tiler has laid the black limestone tiles in the wet room, which means the plasterers can start next on the tadelakt plaster. 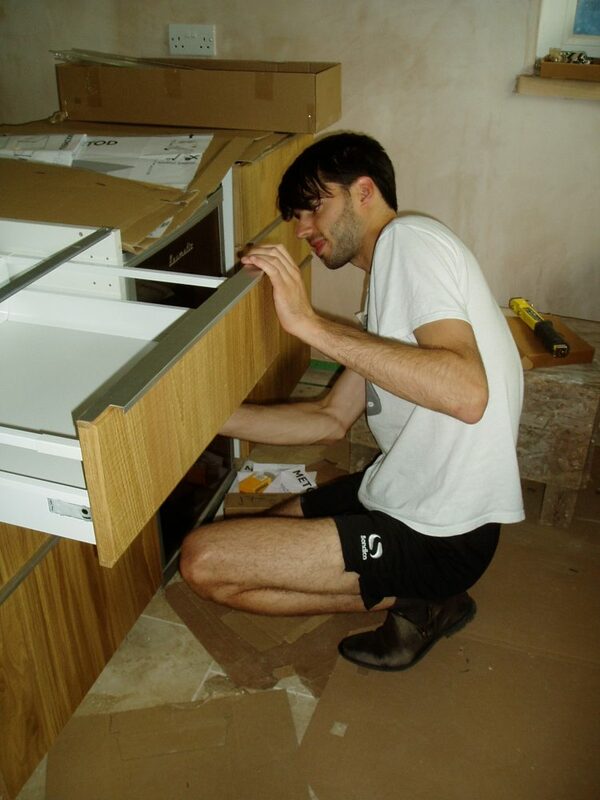 Henry and Dan finished mounting the kitchen doors and appliances, whilst this weekend Peter came home to help with putting together the drawers. 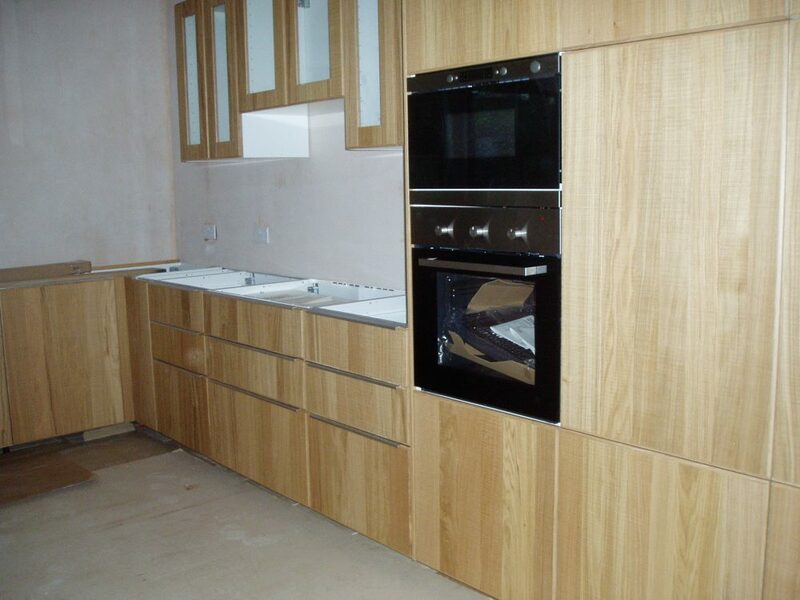 Just the worktops to sort out now. Surprisingly Ella ( the cat ) finally decided to do a thorough explore of the house whilst we were making the drawers. 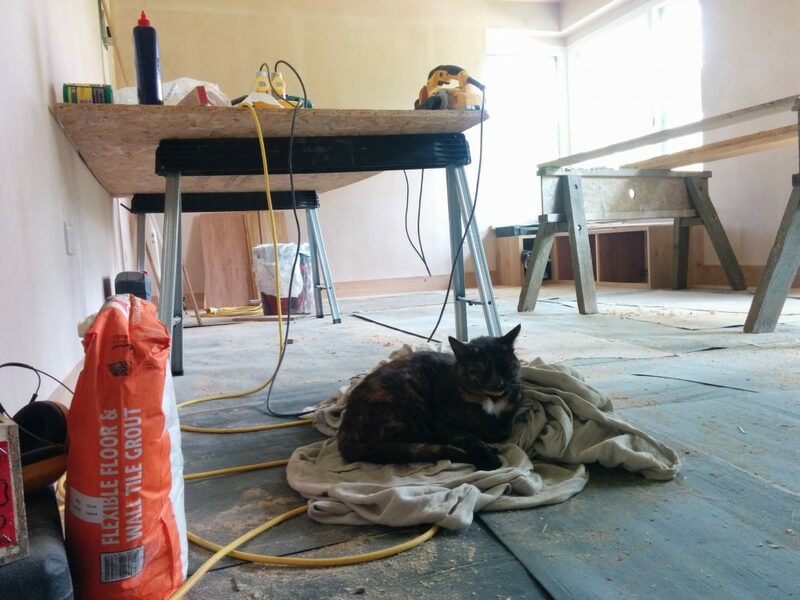 Upstairs, downstairs and on the scaffolding – before she decided it was time to find a comfy place to sleep.